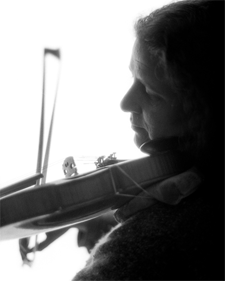 Tamora has been playing the fiddle since the early 1980’s and teaching for more than two decades. She teaches a broad range of music and created the first strings program at Ashwood Waldorf school. She is currently part of the teaching staff at 317 Main Community Music Center. Tamora is primarily known for her music in the Irish/Celtic tradition and in the world of Contra Dance. Tamora has played in numerous bands and settings, including performing with the late Kerry Elkin (a pioneer of adapting Irish music for contra dancing ) and a long stint with the Maine based dance band Calliope. She’s currently involved in a number of groups including an occasional trio with husband David Stimson and fiddler Alden Robbinson, the contra dance band Steam Packet with David Stimson and Glen Loper, and her band Curlew, a group with husband, son, and Irish piper Darryn Petersen. Tamora can be reached at: 207-666-1135 or 207-380-4820.